Timothy J. Williams is the author of Intellectual Manhood: University, Self, and Society in the Antebellum South (2015). 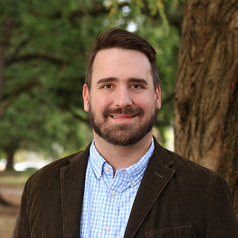 Before joining the Robert D. Clark Honors College (University of Oregon) in 2014, he taught at Appalachian State University and was a Postdoctoral Research Fellow in the Institute for Southern Studies at University of South Carolina. A historian of American culture and intellectual life, especially the American South, Williams maintains membership in a number of professional organizations, including the Society for Historians of the Early American Republic, the Organization of American Historians, the Society for civil War Historians, and the Southern Historical Association.